The 2nd Bubba for today is Wycliffe "Bubba" Morton, outfielder for the California Angels in the late 1960s. Morton was signed by the Tigers back in 1955, and spent 6 seasons in the minors before breaking in with the Tigers in April 1961. 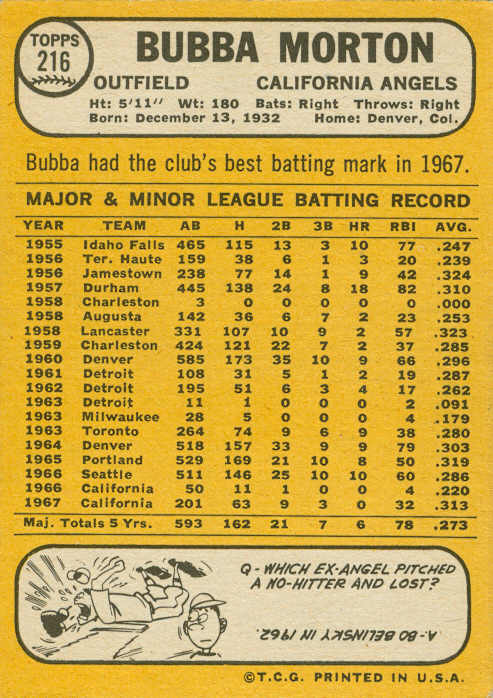 Bubba spent all of 1961 and 1962 as a spare outfielder, behind starters Al Kaline, Rocky Colavito, and Bill Bruton. 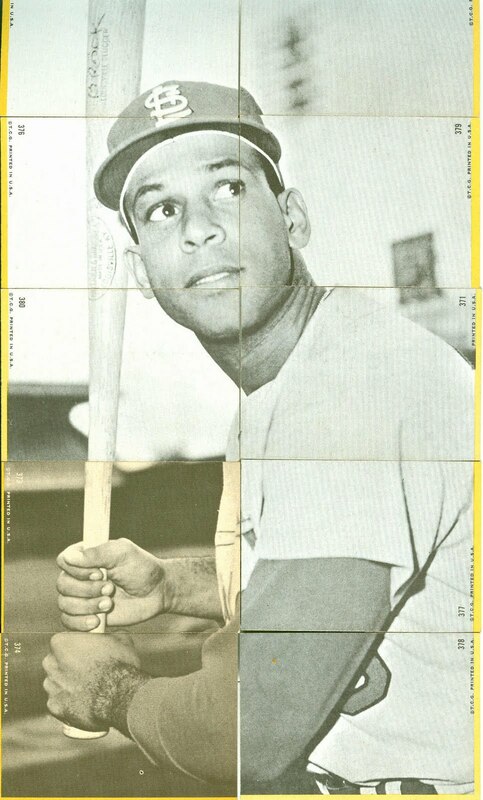 In May 1963, he was purchased by the Milwaukee Braves, but played only 15 games for them before spending most of '63, and all of 1964 in the minors. 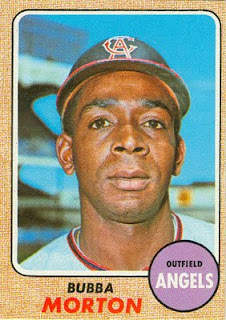 His minor-league adventures continued in 1965, but this time as a member of the Indians' organization. 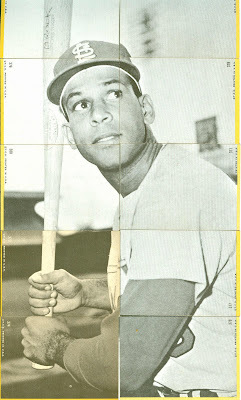 Morton was traded to the Angels at the end of the 1965 season, and after spending most of '66 in triple-A, he returned to the majors and played his final 3 seasons with California. 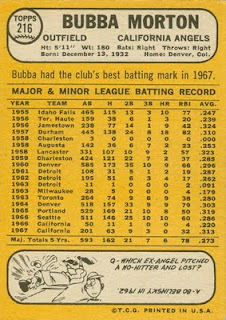 He played about 80 games in each of those 3 seasons, but the Angels' roster was packed with outfielders in those days. 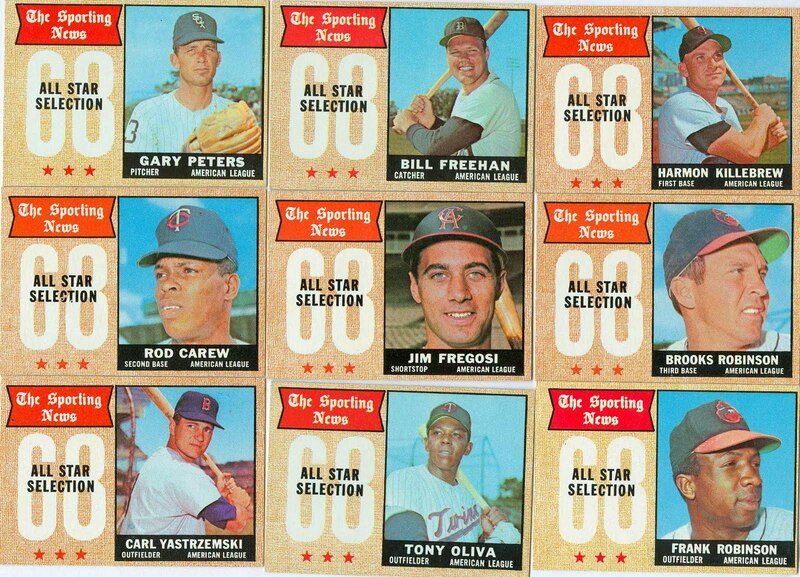 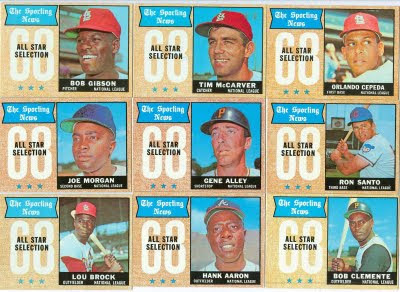 The 1967 Topps set features EIGHT outfielders on the team. 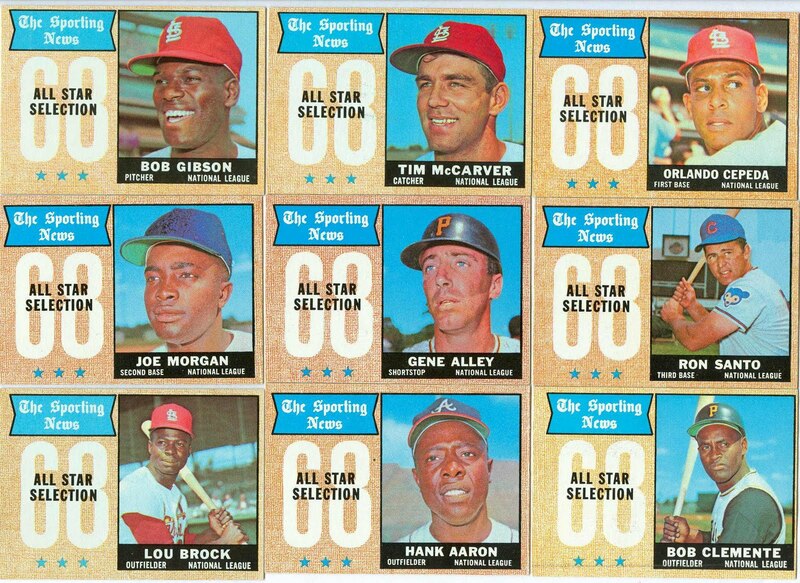 The Angels' 1968 and 1969 rosters also featured 8 outfielders with significant major-league experience. 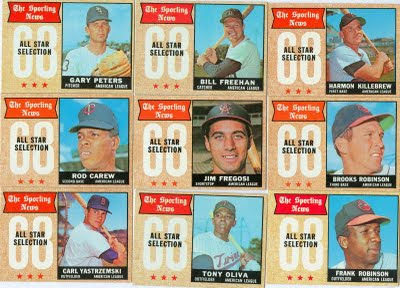 If your name wasn't Rick Reichardt, you pretty much scrambled for playing time. 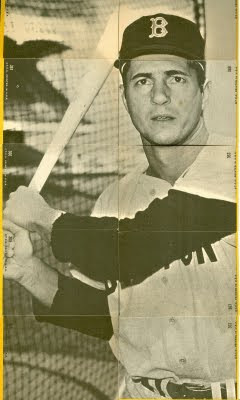 Morton spent the 1970 season playing in Japan.